Working hard to support yourself and your family is one of the basic building blocks that make this country great. Defined into law over centuries are a series of laws that are designed to protect employees in the country. However, more often than not, individuals are unaware of their rights and end up being taken advantage of, often times to the detriment of their home life or personal well being. 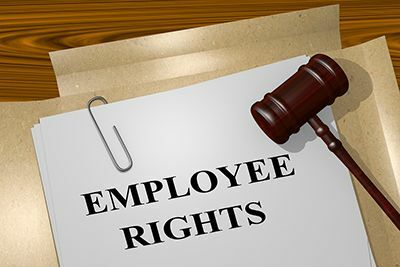 The simple question for you is as follows; do you know your rights as an employee? If you believe that your rights may be being breached, then you will need the assistance of an employee rights attorney. Sadly, there are countless opportunities for worker’s rights to be violated. Thankfully, the majority of companies are good when it comes to adhering to these rules, and may even accidentally break them in good faith. Either way, it helps to know what your rights are and where the line is drawn when it comes to getting an employee rights lawyer. Employee rights can be denied even before you begin working through the hiring process. From there, you may experience workplace harassment or discrimination, as well as age discrimination and workplace retaliation. Your rights to time off of work as well as your rights concerning wage and hour laws are also points where an employer may be breaching their contract with you as well as the laws set in place. In addition, if you are experiencing issues with workplace privacy as well as anything else listed above, you should consider employee rights lawyers. A job can be a fantastic place to showcase your skills and make a difference in the world. Solving issues of employee rights is crucial to making your workplace a functional and healthy environment for you to be in. With an employee rights attorney on your side, you will be better able to argue your case. Along with having assistance every step of the way, you will be fully knowledgeable about your actions and where you can take the case. Needing help understanding your rights as an employee? Give us a call today for your FREE consultation.